Viber, one of the most popular instant messaging apps here in the Philippines, has a new feature out that's perfect for lovers or those who are very adventurous and flirty. 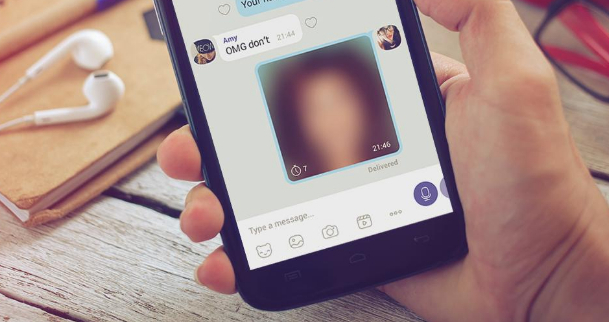 Viber's Secret Messages feature makes your conversations even more fun and exciting by letting you share images and videos that can disappear right after they are viewed. Content shared via secret messages can only be seen once and can't be shown to anyone else again. Currently, Viber is promoting this as a cool way 'to tease your special someone about the hot date you're planning or to send a preview of a sizzling dance move' -- among other things. But come on, we all know that it's perfect for 'private photos'. To use Secret Messages, simply take a picture or video using the Viber camera or choose one from your gallery, set a time limit, and then send. Once the media is opened by your recipient, the Secret Message will be visible for the time set, then it will disappear without a trace. I'm just not sure if it's also protected against Screen Capturing; I'll have to check. According to Viber, Secret Messages - together with Viber’s Instant Videos, Chat Extensions, and colorful Sticker Packs - let you connect with your loved ones in richer, deeper, and more meaningful ways. To enjoy all these exciting features, simply update to the latest version of the Viber App that's available for free download on Android via Google Play Store and iOS through Apple App Store.